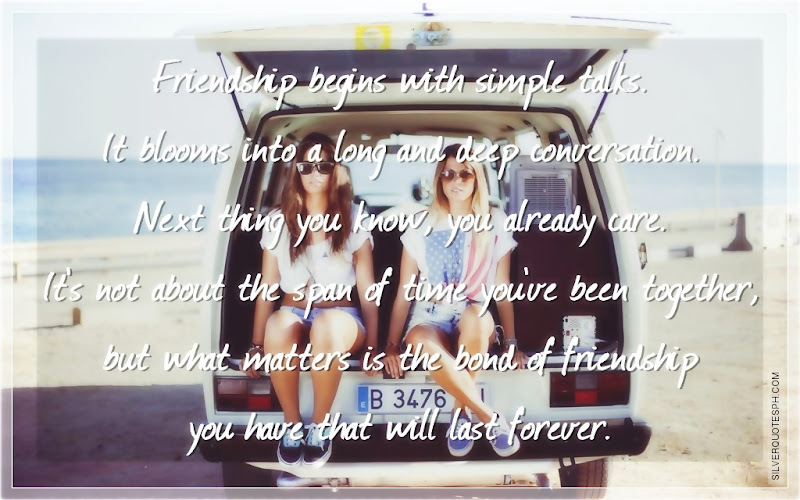 Friendship begins with simple talks. It blooms into a long and deep conversation. Next thing you know, you already care. It's not about the span of time you've been together, but what matters is the bond of friendship you have that will last forever.